Just inside the Hualapai Indian Reservation, at the northern tip of Arizona lies more than a million acres of unspoiled wilderness. Most people know it as the Grand Canyon National Park. Over the next few days, a small section of the park would act as Nissan’s own personal proving grounds, with myself and a few other lucky members of the media putting the Titan Pro-4X to the test. Nissan's newfound desire for adventure lies appropriately in the hands of its largest pickup truck. First introduced in 2004, the Titan was the Japanese marque's first real foray into a space dominated by manufacturers like Ford and Chevy. 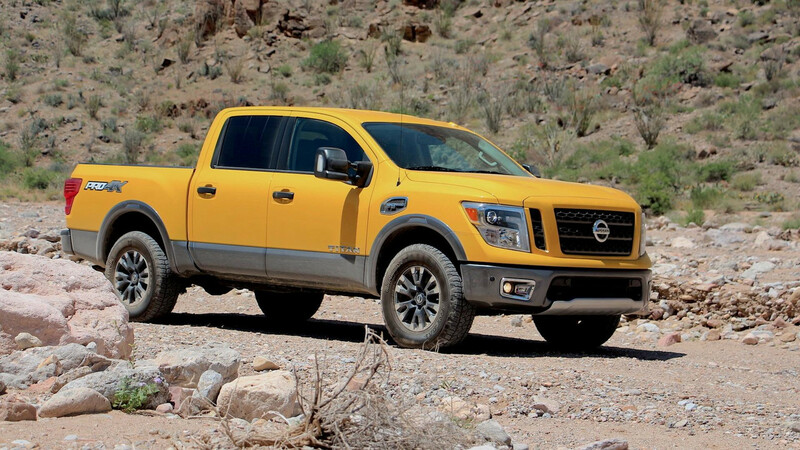 It signaled Nissan’s bid to slice off just a small piece of the American brands’ massive truck market share here in the U.S.
Today the second-generation Titan is a more grown up vehicle than it was when it was first introduced. Under the hood lies a 5.6-liter V8 producing 390 horsepower and 394 pound-feet of torque. A 5.0-liter Cummins diesel option, meanwhile, offers 310 hp and a significant amount of more torque at 555 lb-ft. There are two sizes: regular and the not-quite-heavy-duty XD. The exterior design is sharp, the cabin is comfortable, and the package is a perfect jumping off point for those looking to accessorize and personalize to their off-road needs. Leading up to the annual Overland Expo just outside of Flagstaff, the stunning scenery of Northern Arizona seemed like the appropriate setting to better understand this sometimes misunderstood pickup, but more importantly overloading in general as a lifestyle. The Overland Journal Describes overlanding as a "self-reliant travel to remote destinations where the journey is the principal goal." 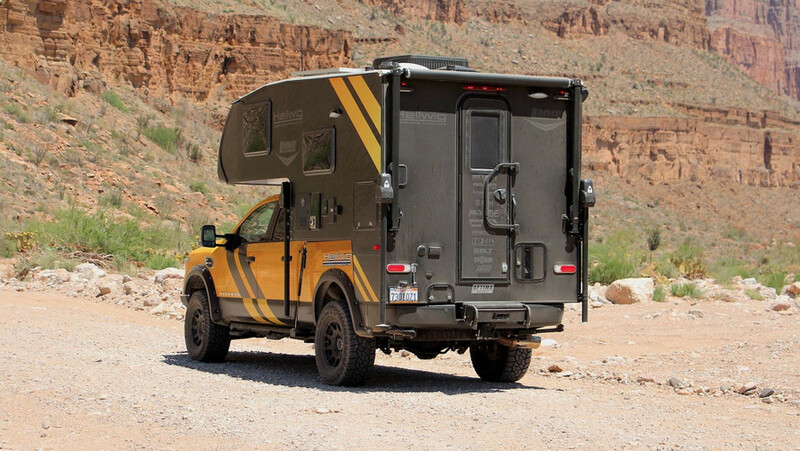 The Expo further promotes what overland enthusiasts consider a way of life, delivering an array of products and vehicles aimed at adventure, everything from camping accessories, to clothing, to fully livable trucks like the EarthRoamer. 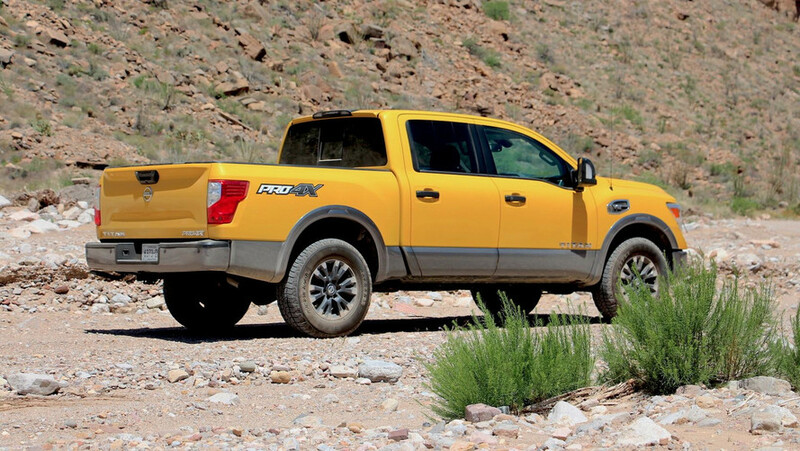 The Titan caters to a spectrum of buyers from casual weekend adventurers to full-blown lifestyle changers. More often than not, the idea of overlanding lends itself to big-bodied, high-riding pickups from Ram, Toyota, and even Ford. 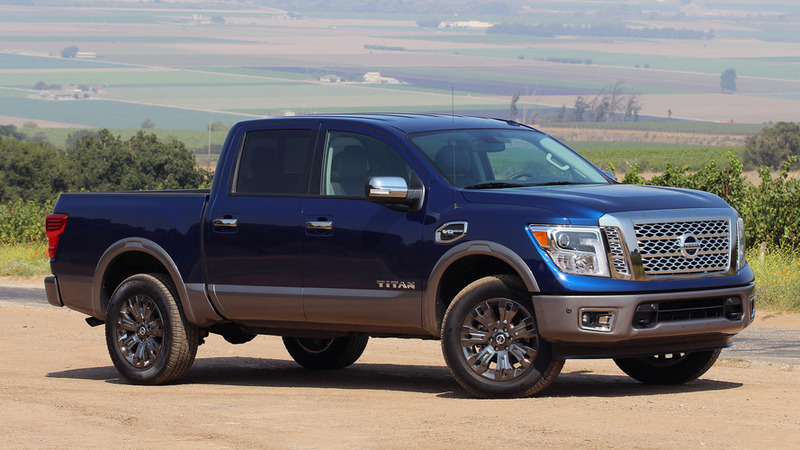 The Nissan Titan, though, is not one to be overlooked. 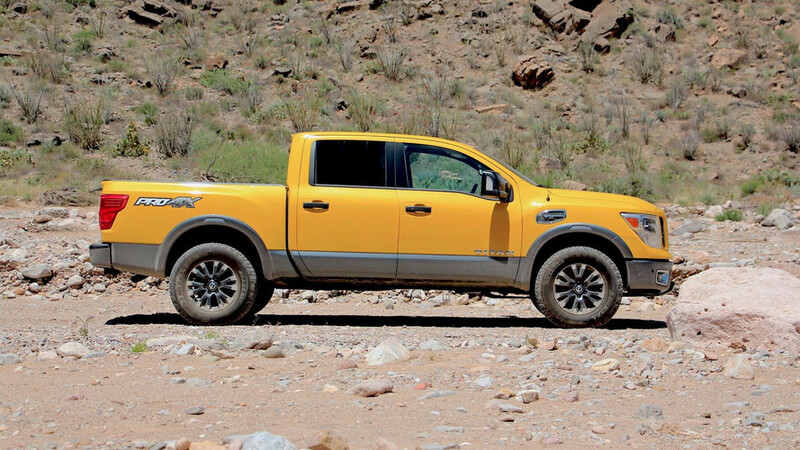 The Titan caters to a spectrum of buyers from casual weekend adventurers to full-blown lifestyle changers. In an effort to further prove itself to overland enthusiasts, Nissan unveiled its Project Basecamp concept. 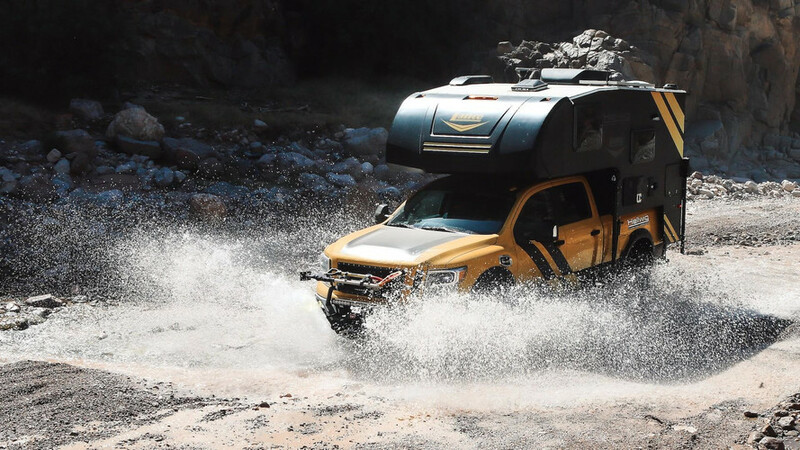 Essentially a Titan XD Pro-4X that Nissan transformed into a real adventure-prone rig, Project Basecamp uses the same 5.0-liter Cummins Diesel V8 you’ll find on the standard XD. No powertrain modifications necessary. A self-leveling air suspension system, 17-inch KMC Beadlock wheels, and 35-inch Nitto tires pair with new bumpers, fender flares, and a front winch, further adding to the list of capable credentials. On the roof, a tent, and in the bed and trailer, plenty of storage. There was even a teeny-tiny grille that paired to an even more adorable propane tank, but I digress. 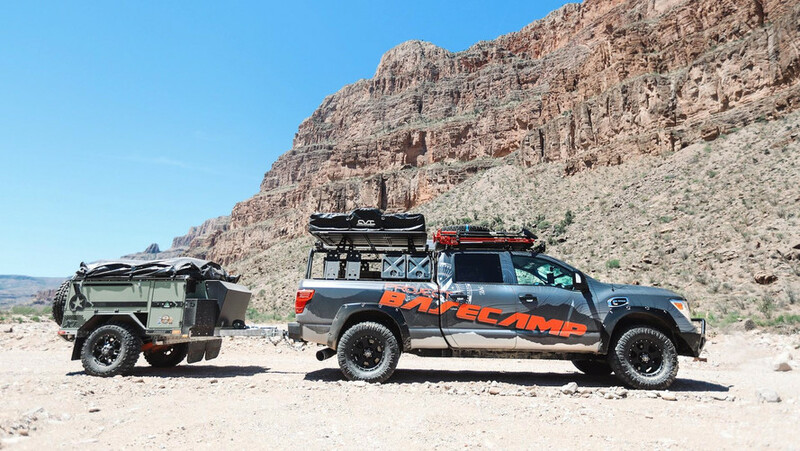 Out on a trail that connected the Hualapia Indian Lodge to the Colorado river, Project Basecamp would lead a pack of four V8-powered Titans equipped with the Pro-4X off-road package, as well as the diesel-powered Hellwig Rulebreaker, which decided to tag along for the journey. 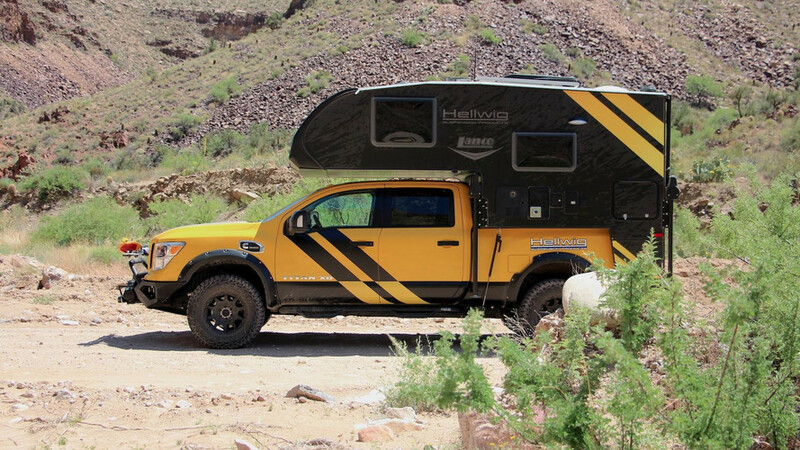 Introduced at SEMA in 2016, the Hellwig Rulebreaker was the first true overland-specific vehicle built using the second-gen Titan as its base. Attached to the truck bed is a fully livable trailer built by outdoor experts Lance. 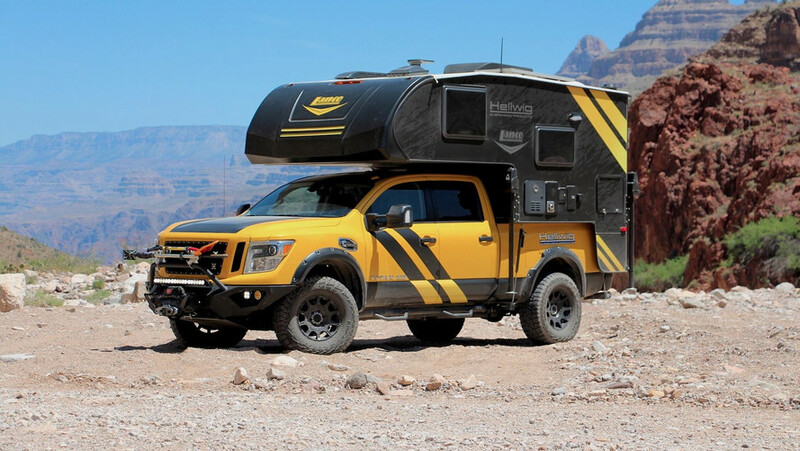 It comes with amenities like a bed, a table, and a bathroom, all just an extra 1,800 pounds on top of the frame and $28,000 on top of the price of the base Titan. In order to support that added functionality, a heavy-duty Hellwig ladder frame was added, giving the Rulebreaker a payload of up to 2,500 pounds. An Icon lift and a new air suspension are also in part to thank for the added capability. 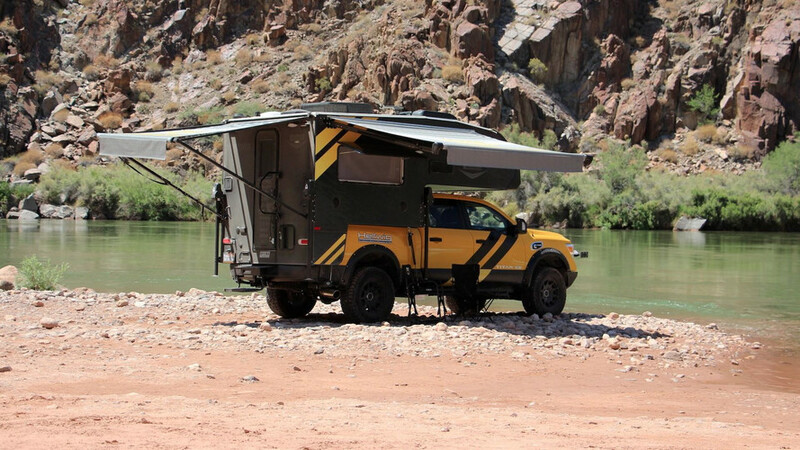 The company calls it the “ultimate overland camping vehicle,” and it’s hard to argue against it – Hellwig's Rulebreaker is as completely capable as it is livable, and it showed it on the trail. Nearly 10 miles of rocky road and surrounding mountainside separated us from our stopping point near the river. The journey, in addition to being picturesque, proved the Titan Pro-4X’s immediate willingness to tackle the tough stuff. A part-time four-wheel drive system, 18-inch aluminum wheels wrapped in all-terrain tires, and an electronically locking rear differential for those especially tricky situations proved more than able to handle a day trip out and over land, and through a few small rivers. Hellwig's Rulebreaker is as completely capable as it is livable, and it showed it on the trail. The otherwise rough trail was eased by Bilstein shocks and a power steering system that was precise, but often a bit heavy in the corners. A steel skid plate, meanwhile, kept most of rocks and rubble away from the undercarriage while still allowing 10.8 inches of ground clearance and a 21.7-degree approach angle. Even when you think it’s going to scrape, it doesn’t. By the end of it, not only did the trip show off the Titan Pro-4X in some stunning scenery, but also demonstrated how ably the truck could tackle a variety of terrain. Grand Canyon National Park proved to be the perfect setting to put Nissan’s off-road credentials to the test, to which it passed with flying colors. Already the company has plans to return to Flagstaff this time next year for the Overland Expo, hopefully with another concept. 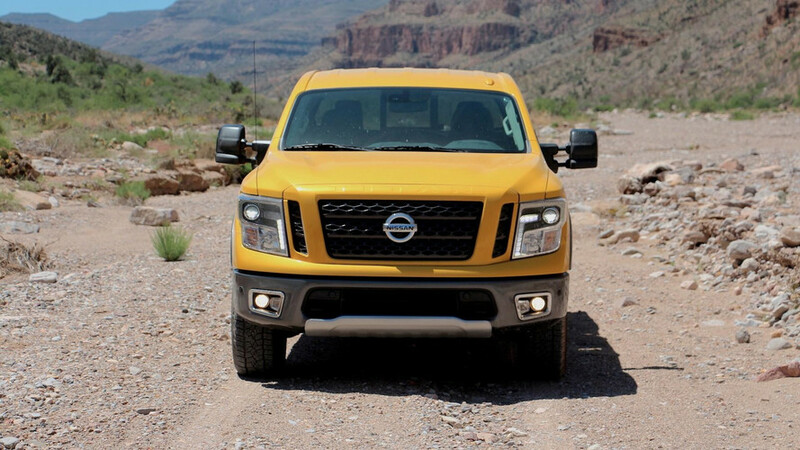 Nissan's off-road thirst of yore has seemingly been reborn, and the Titan is a great option for those looking to get a little lost while finding themselves.